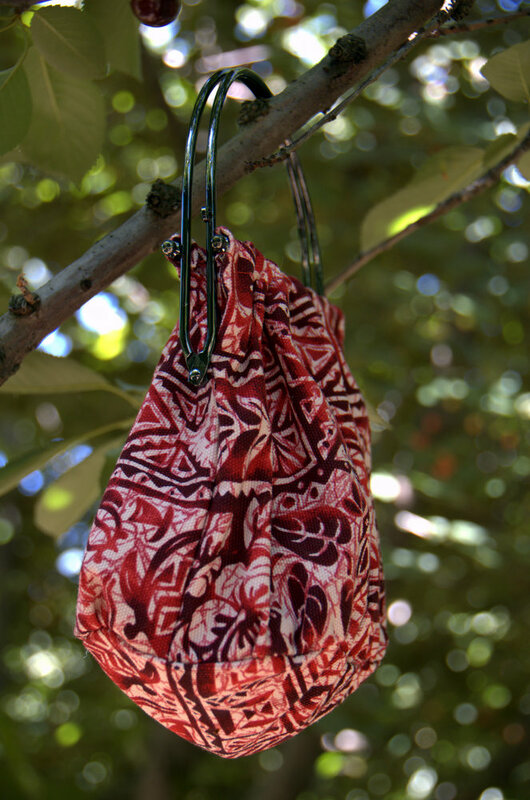 When I was in Maui with my husband, I saw all these little cute Hawaiian print purses for sale. They were going for 35-50 a pop, depending on which gift shop you are at. As adorable as they are, I just could not stand spending that much on a purse! So even though I really wanted to buy them for my mom, I stopped myself and decided to get some sturdy cloth from the fabric shop instead. Once I got back, I bought a bunch of handbag handles from CottonTouch in Etsy. It took forever to ship (I got it from a seller in Thailand), so here I am, a whole month later, I finally got my handles (they are very pretty though!) and I just couldnt wait to get my sewing on. 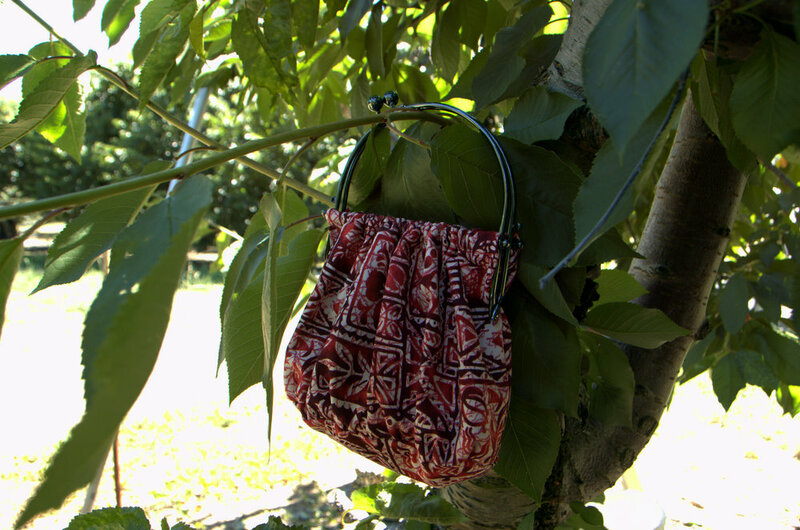 Two episodes of How I Met Your Mother (a great great show, by the way) and some guess work later, I finished this handbag for my mom! It isnt lined, but it was very easy — two rectangles with a oval bottom. I didnt try to line it, but in hindsight, it would had been cuter if it was lined. This entry was posted on Sunday, June 13th, 2010 at 10:12 pm	and posted in finished pieces. You can follow any responses to this entry through the RSS 2.0 feed. super cute! and the handle is totally rad! hehe, yeah, i think i had been spoiled by the 3 day shipping most people provide. though there are other sellers on etsy that sold those!